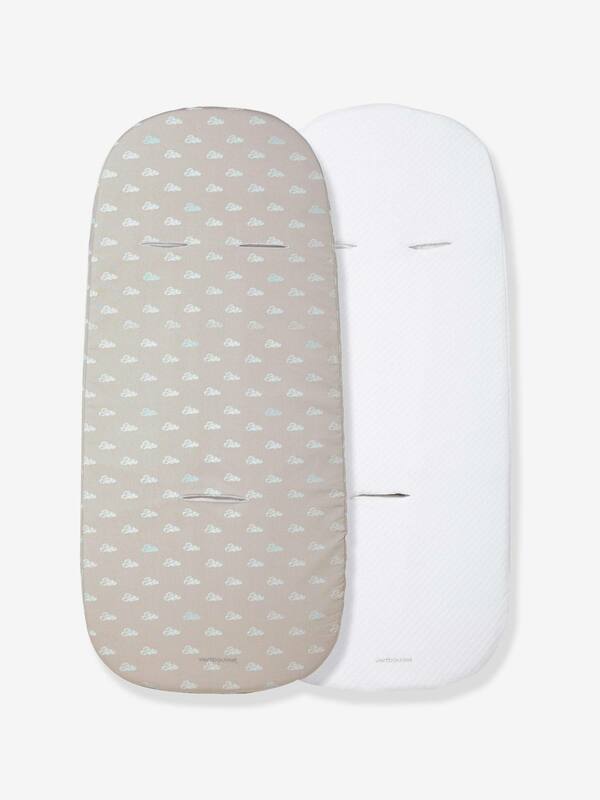 Practical and hygienic, these mattress covers are ideal for use in Vertbaudet carrycots or prams. Elasticated for easy installation. 67 x 30 cm + wide elasticated flap, with 7 cm. - 1 in plain white honeycomb fabric. Handy slots for saftey harnesses, for the 'shoulder' or 'front' versions. Elasticated edge for easy installation. Back straps to keep it in place. Easy care and machine washable at 40°. 1 cover in 100% cotton percale. 1 cover in honeycomb 80% cotton 20% polyester.